They are situated on the ground floor due to which it has easy access to Lawns & sit out area. They are spacious, Well Lit & provide refreshing view of surrounding Orchard’s. 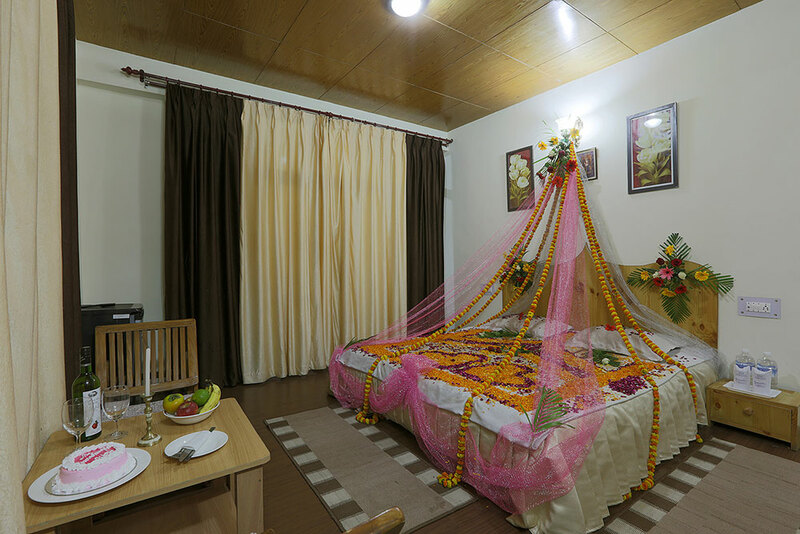 Top quality carpets, Fine Bedding, Wooden furniture, Tea & Coffee Maker, T.V, dining area are en-suited in the rooms to give you a classy & delightful stay. They are very much similar to Garden View Rooms but few minor detailing has been changed and are positioned on upper floors. 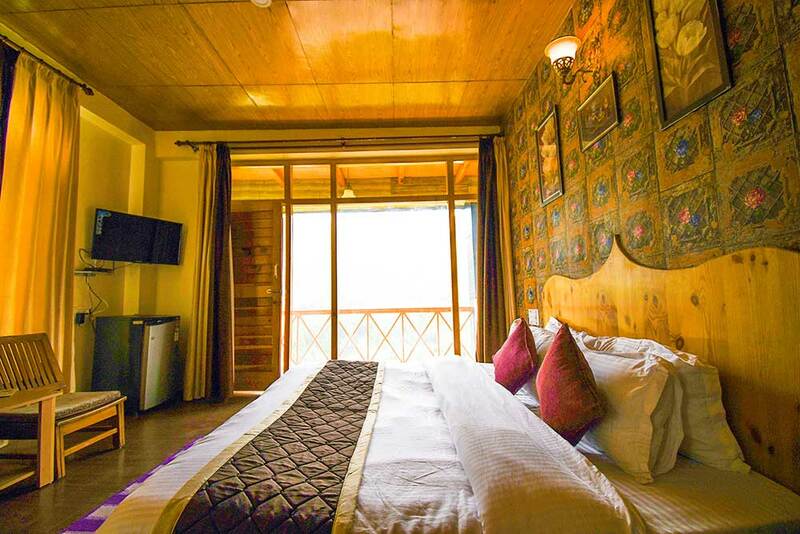 Since our Super Deluxe Rooms are on upper floors, they have private balcony & offers extravagant views of Mountains, Valleys, Waterfalls, rivers and all the facades of nature you can think of. To give you a warm and cozy ambience, we have wooden floored them and have used only wooden oriented furniture only. 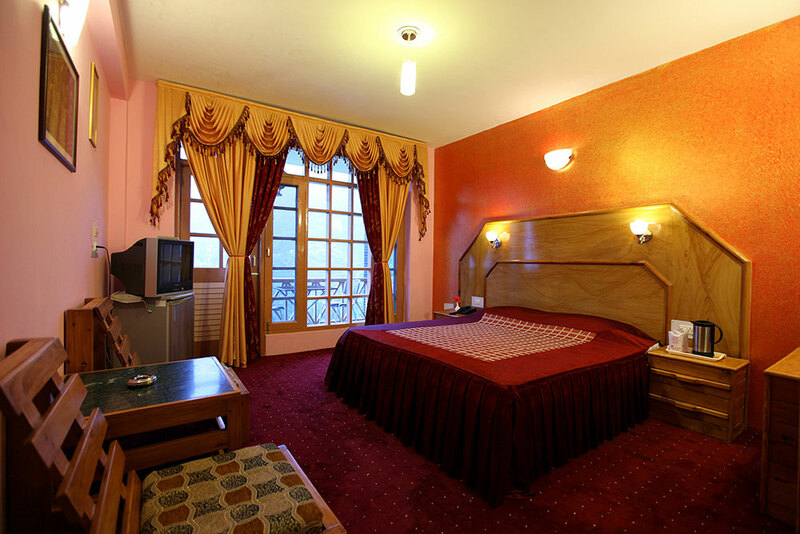 They are also on upper floors & have more decorated interior to enhance the romantic aroma for Honeymooners more. They are enriched with plush beds, Wooden Furniture & Flooring, T,V , Tea & Coffee Maker ,Dinning Area & gives heavenly picturesque Views. It gives opulence & Privacy both to the lovebirds. On Demand Facilities : To give them once in a lifetime experience we also Arrange flower Bed Décor , Candle Light Dinner , Honeymoon Cake, Wine, Fruit Baskets, chocolates etc for them. We have Duplex Cottages with 3 Bedrooms (2 Bedroom for Adults + 1 Children’s Bedroom). The set up of the cottage is done in such a way that you can enjoy the wonderful views no matter where you relax in it. For that we have kept only 1 full wall and rest of the 3 sides are ormented with large windows, to give the most enchanting views of nature. 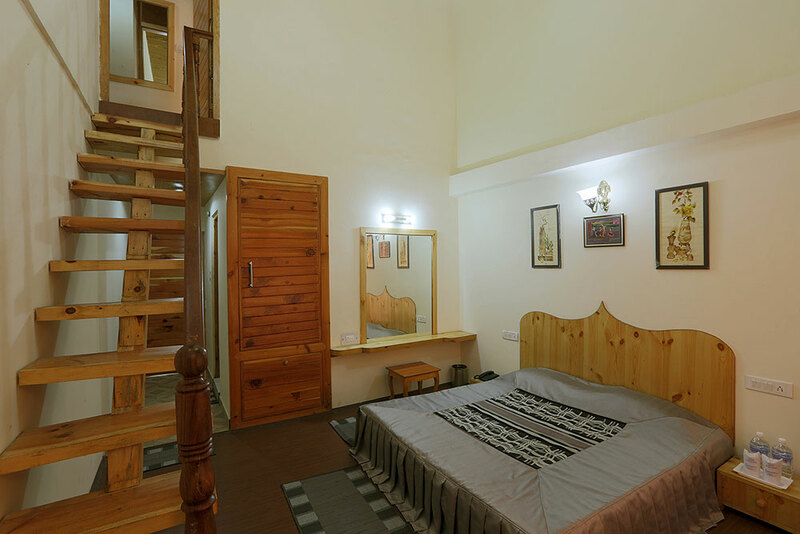 This cottages are equipped LCD T.V, Mini Fridge, Wooden Furniture & Flooring, Balcony etc which makes it a perfect accommodation for Family Trips.